My Journey: How Often Do You Need To Perform These Cat Care Tasks? How Often Do You Need To Perform These Cat Care Tasks? When you’re considering getting a cat, you probably didn’t think that it would ever come to the point where you’re considering keeping a diary just for cat related needs. However, it can make sense to do so, because cat care is often spread throughout the year. If you forget to keep track of when a particular task needs doing, you could find yourself doing it too often - or not at all. When you have got your diary, you next need to know how to schedule everything that your cat needs. Obviously, there are some basics that you don’t need to note down; feeding, providing fresh water, playing, and just hanging out with your furry friend. Not that you’d need a reminder to do those anyway - most cats are more than happy to let you know if they think that you have forgotten something! Everything else, however, could probably do with some scheduling to make sure it goes off without a hitch. File claw trimming under monthly, unless you have reason to notice it might need doing more often. If you cat is making a “clicking” sound when walking on hard flooring, then it’s worth moving the date up as and when needed - but for the most part,monthly will suffice. Remember: always try to use specially designed claw clippers for this task. You might think you can make do with human nail clippers or just plain old scissors; while these might work in some ways, they do have more of a risk of splintering the claw. Specially designed clippers don’t carry this risk, and they’re usually fairly cheap to buy. When it comes to getting flea meds for cats right, you have to think about their lifestyle. 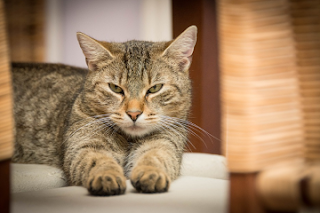 Indoor cats can be treated less often than outdoor cats, but both should be treated on a monthly basis. Just make sure that you keep an eye on outdoor cats towards the end of the month, as they might pick fleas up as their protection begins to wane. While not impossible, this is less likely with indoor cats. This depends very much on the type of treatment you choose. Spot-on treatment will generally wear off faster, and thus will need to be renewed on a monthly jbasis. Tablet forms can last up to three months. So check the packaging and make the right decision based on the recommendation you see, then note it down in your diary so you don’t forget. Obviously, some vet appointments will happen ad hoc, in response to concerns of health and well-being. If your cat has otherwise had a healthy time of it, then you should still be taking them up for a check up on an annual basis. For cats over the age of seven years, it’s worth running blood tests at the same time just to ensure that all is as it should be. It makes sense to schedule this check up appointment at the same time as your cat’s vaccination boosters - the fewer vet trips they have to endure, the better!